Roberto Bicicletas is always coming across amazing bikes. His eBay and Flickr sales in the past have always had a nice mix of class and sass. Here’s a perfect example. This Mercian is only clipless pedals and drops away from being a mean track machine. 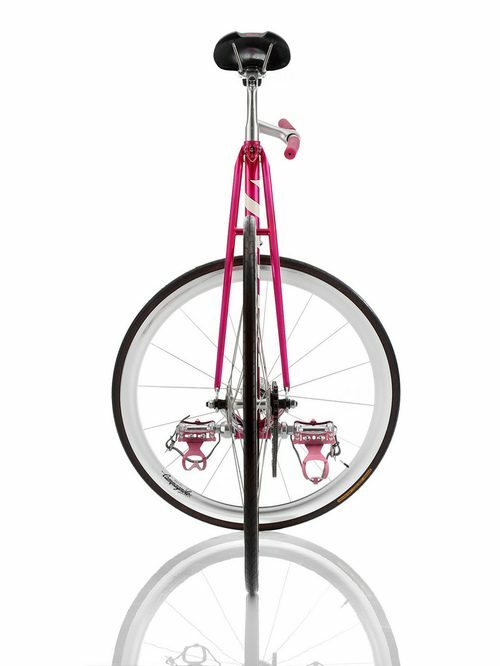 Somehow, the pink grips and short bars still compliment the frame beautifully. Roberto is calling this shot a preview. Can’t wait to see what the full gallery looks like.